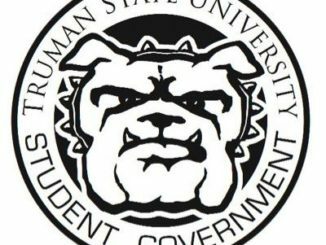 The Truman State University Political Science Department is in the process of changing its name, which is set to take effect next fall. The Department will then be known as the Department of Political Science and International Relations. Department chair Randy Hagerty said the change came about after the department’s last program review, and he said he feels the change will better reflect the broad range of study in the department. Hagerty said there are options for students with an interest in international relations already built into their course work. Examples of courses include methodology and public policy, and students have the option to write their research papers on international topics. “Those interested in international issues can take classes in Latin American Politics, Politics of Africa, Politics of War and of course our very popular Model UN course,” Hagerty said. Even if students don’t come to the department for international relations courses, Hagerty said, on average they are still required to take about a third to half their coursework in topics dealing with international relations. The name better reflects the faculty’s background as well, Hagerty said. The name change was approved by Truman administration and presented as an informational item to the Faculty Senate. Now the proposal has to be passed at the state level, but Hagerty said they anticipate no problems passing it. Political science major Logan Hobbs said he thinks international relations is already represented in the department. Hobbs said the name change might not be necessary because it is implied within the subsets of political science, but he thinks the change will lure more students into the department.